The Garda Extra Virgin Olive Oil from Frantoio Avanzi is an extra virgin olive oil of the highest quality. Ingredients Produced with fresh olives. For more information on product labels, please contact our Customer Service department. The information on the labels of the products may vary for reasons beyond our control, therefore, there may be discrepancies between the information on the site and that on the products delivered. Please always check the information on the product before consumption or use. 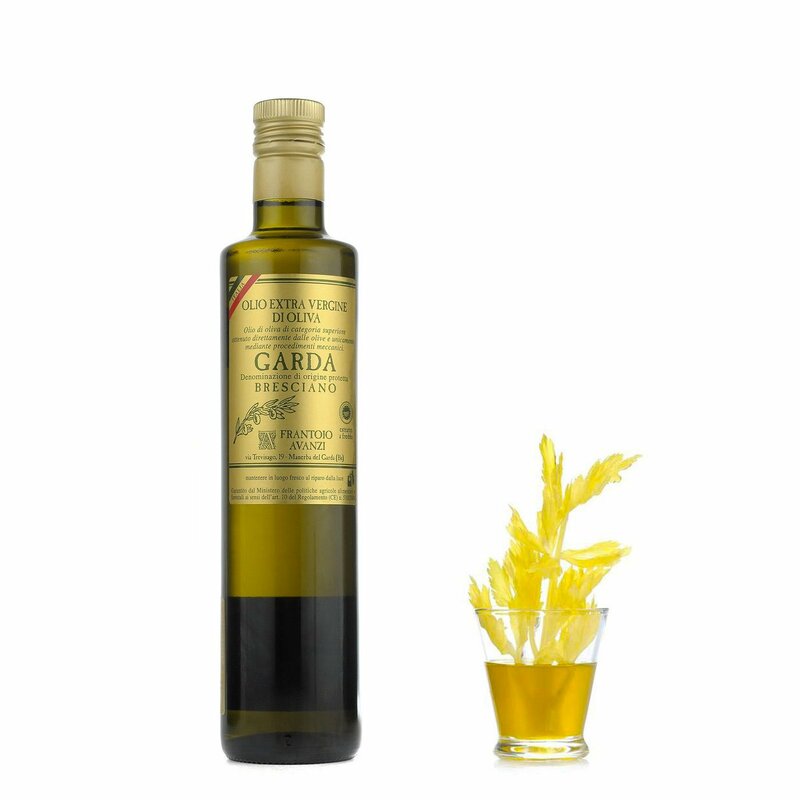 The Garda Extra Virgin Olive Oil from Frantoio Avanzi is an extra virgin olive oil of the highest quality. This olive oil is created by cold pressing olives from the producer's own trees (using 70% Casaliva and 30% Leccino varieties). The oil could be described as organic given that it is not in any way treated with chemicals. The oil has a golden colour with bright green tints. The aroma is elegant and freshly fruity. The taste is sweet with an aftertaste of almonds and is slightly spicy. The cultivation of the plants and pressing of the olives follow strict rules imposed by the production specifications for Garda D.O.P.. Every bottle is certified by the Garda Consortium with a unique serial number stamped on it.